the science to justify it. When post-concussion syndrome forced star NFL running back Merril Hoge into early retirement in 1994, research on football-related head injuries wasn’t a priority. At the time, football was heavily influenced by a tough guy culture, and little was known about concussions and their potentially dangerous effects. Then the tragic death of Hoge’s ex-teammate Mike Webster in 2002 launched a wave of fear after an autopsy determined he suffered from an obscure brain disease—chronic traumatic encephalopathy (CTE). The media pounced. Concern over player safety soon became a war on football at every level, with one scientist even declaring youth football “child abuse.” In an effort to set the record straight, Hoge and board-certified forensic neuropathologist Dr. Peter Cummings explore the hidden agendas and misinformation fueling the CTE hysteria machine. Armed with extensive research, critical insight, and expert interviews, they address some of the common myths surrounding the disease, examining significant flaws in the often-cited studies and exposing the sensationalistic reporting that dominates today’s CTE dialogue. 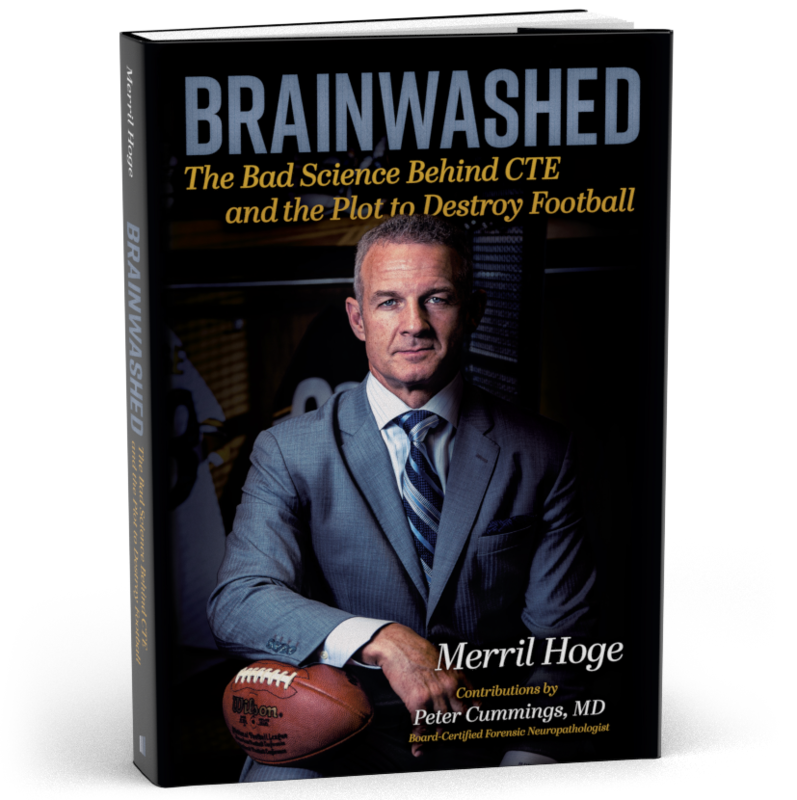 Compelling, accessible, and ultimately revelatory, Brainwashed exposes the biases and unsubstantiated claims crippling true scientific advancement in the area of CTE research. This is a must-read for anyone who cares about the future of youth sports and the survival of our nation’s most beloved game.